A '90s-inspired jacket with bold throwback style. 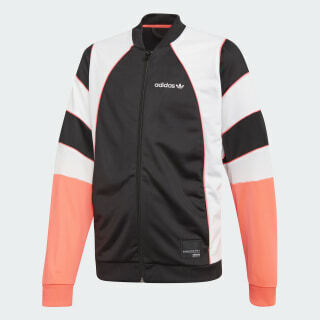 Make a statement in this track jacket, which takes design cues from the adidas EQT line of the 1990s. Bold blocks of colour and a geometric look are a direct throwback to heritage styles. 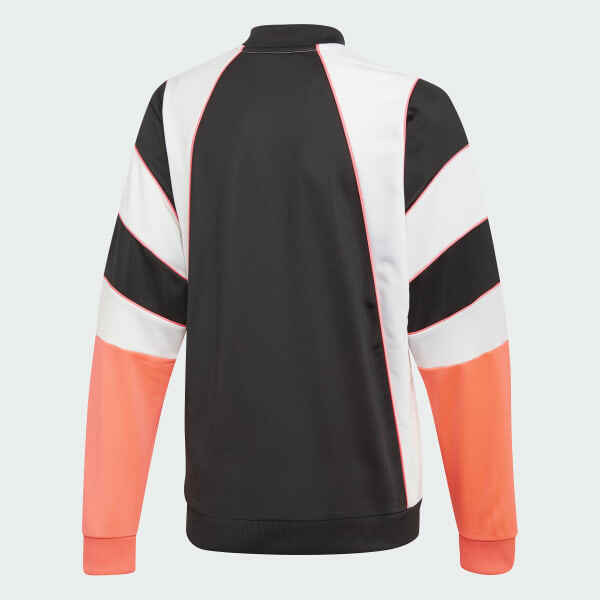 Sporty tricot fabric is made of polyester and has a smooth feel.